While this flavorful soup is delicious on it's own, the truffle oil makes it so rich and delectable, while only adding a small amount of fat to each serving. In large pot, cook onion over medium heat until soft and translucent, adding small amounts of water to unstick. Add garlic, curry powder, cinnamon, ginger, paprika and cayenne. Cook 1-2 minutes. To pot, add pumpkin, potatoes, veg broth, non-dairy milk, brown sugar and basil. Cook on medium-low 20-30. 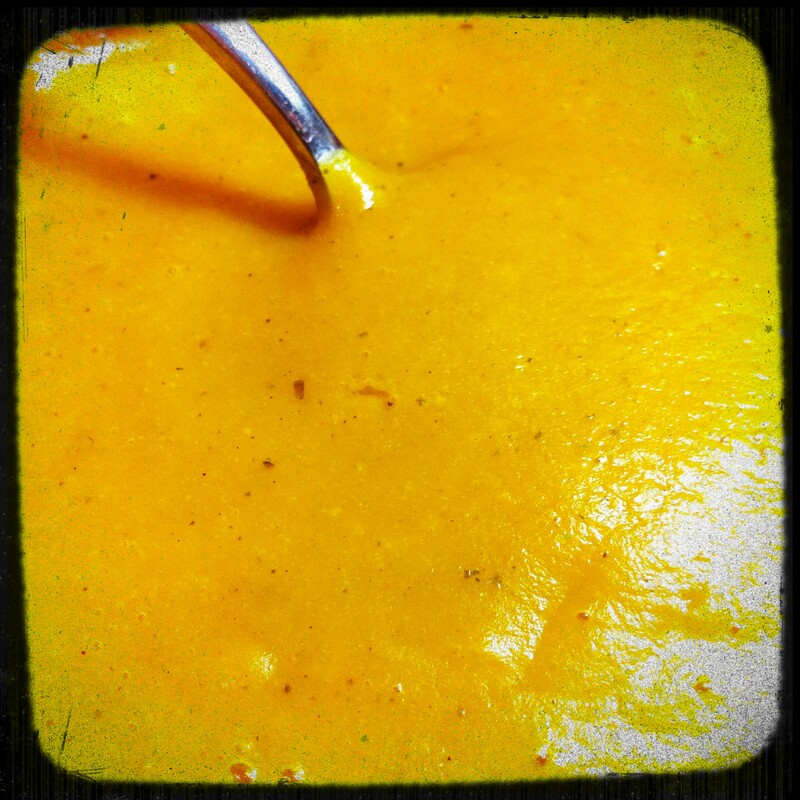 Transfer hot soup to blender, or use an immersion blender until smooth and creamy. Stir in salt, pepper and truffle oil, if using. This entry was posted in Blog, Recipes and tagged gluten-free, oil-free, pumpkin, soup, vegan by Shelly Detken. Bookmark the permalink.